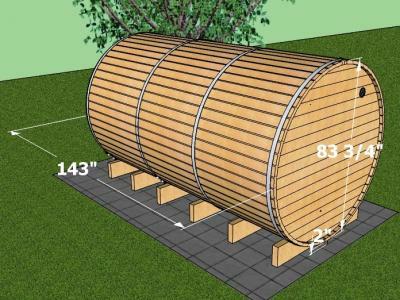 Looking for the largest sauna on the market? 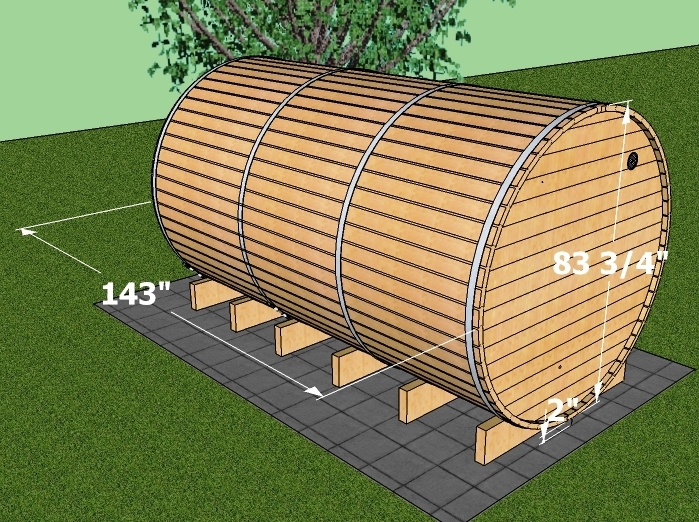 This Barrel sauna actually has a full change/sitting room inside with a second interior door to enter into the 8’ in length by 7’ diameter sauna room. 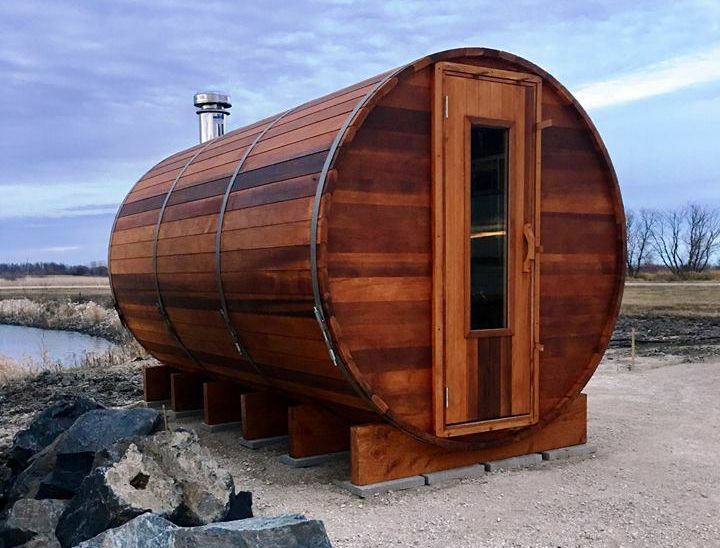 Looking for the largest sauna on the market? 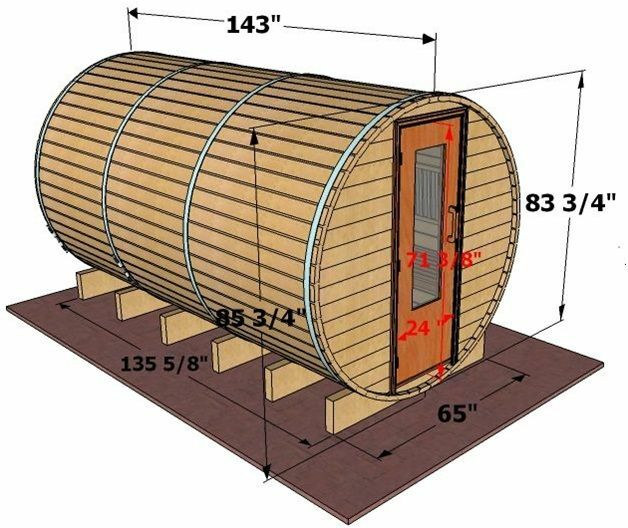 This Barrel sauna actually has a full change/sitting room inside with a second interior door to enter into the 8’ in length by 7’ diameter sauna room. 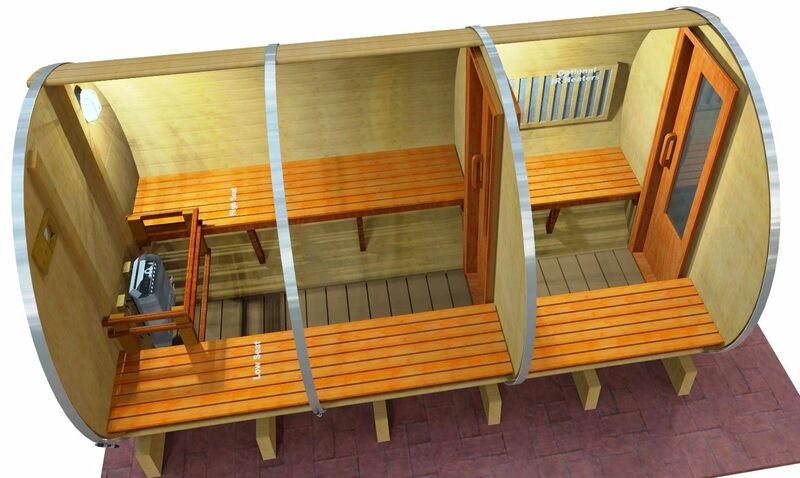 This is a great family sauna room and can accommodate more people and different temperature zones. 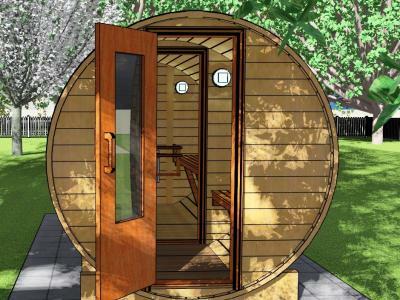 In fact by opening the interior door you can comfortably seat 6-8 people in the main sauna and 4 people in the second room for a total of 10 people. The interior entry room is ideal for changing, cooling off or just socializing. It comes complete with 2 seats. 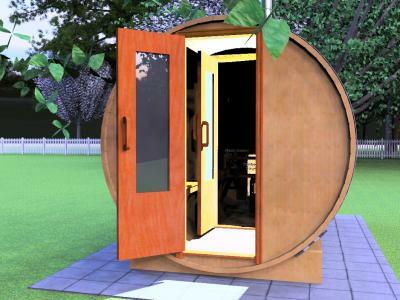 This room is also great for very cold climates and provides a buffer zone between the exterior cold and the interior sauna room. 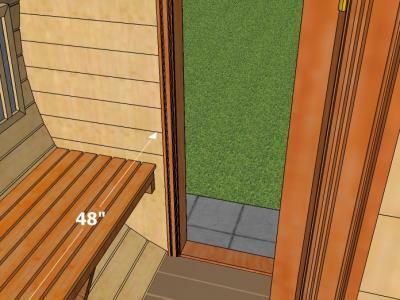 In this way opening the main sauna door does not cause a drastic drop in temperature in the sauna zone. The 12’ sauna was inspired by our commercial sauna design and our engineers were asked to make a residential scaled down version of our larger 20’ x 8’ commercial sauna. 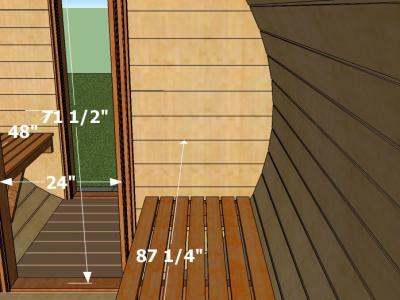 The inside of the main sauna is identical to our best-selling 8’ by 7’ diameter sauna room. 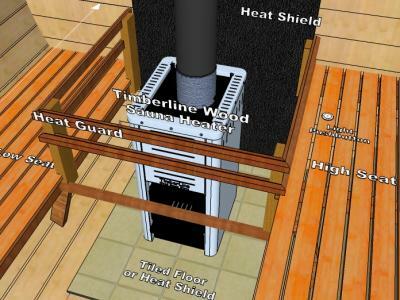 Heating options are also the same with the wood fired sauna stove option or the large 7.5 Kw electric sauna heater. Lights in both room are provided and assembly is designed for any DIY with detailed instruction and top customer support. 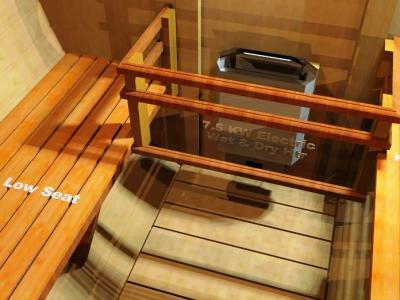 Same quality found in all our sauna rooms! 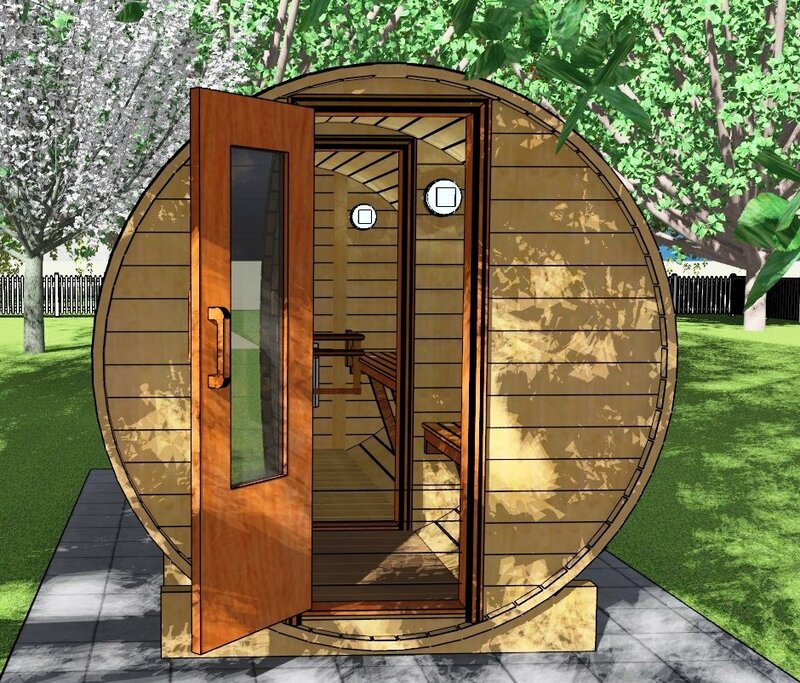 Unlike other sauna manufactures we always put quality first, this includes 100% stainless steel components including our heaters and all hardware, as well as 100% clear grade ‘A” Western Red Cedar. 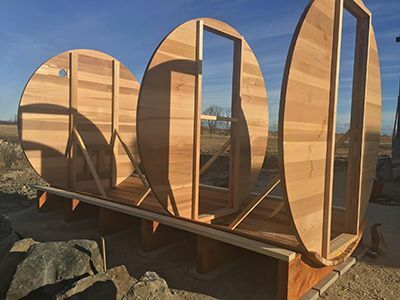 The 12 foot clear cedar boards come at a premium but we refuse to use any wood that has knots as our experience has shown that second grade lumbers such as those with knots will never stand up to the quality of clear western red cedar! This is one reason why we have been in business for over 20 year.